Elegant, scallop-edged bunting, featuring sprays of pink roses. Comprising of 14 triangular flags and measuring 3.5 metres in length, this pretty bunting adds visual interest to your wedding venue and is suitable for both indoor and outdoor use. 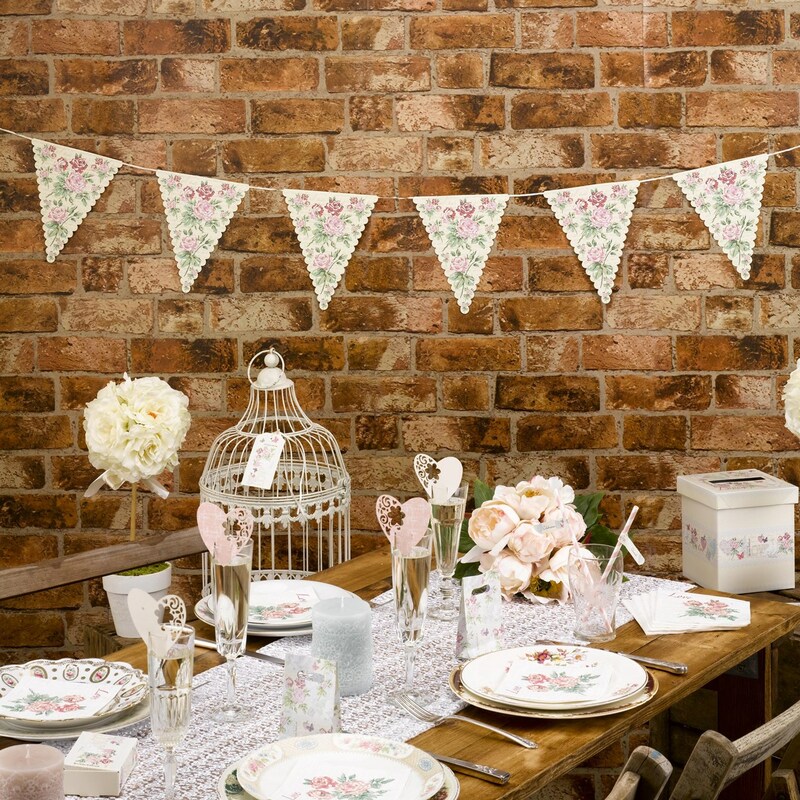 Strung across a marquee, attached to wedding tables or used to define your outside space, this lovely bunting is an easy way to add a romantic touch to your décor.